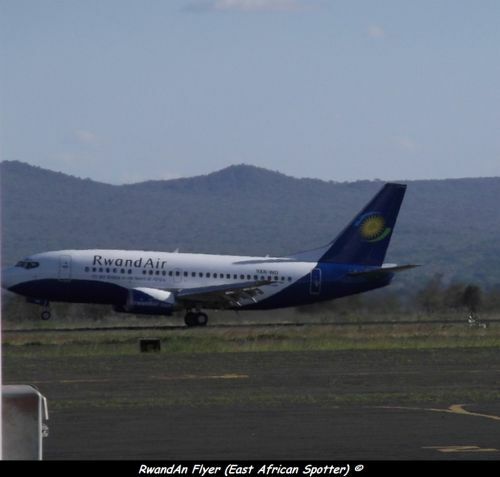 A RwandAir's B737-500 is landing at Kilimanjaro airport, from Dar Es Salaam. In two recent interviews, the RwandAir's CEO has announced two news destinations that could be join the RwandAir's network, the next year. Two news destinations will be Juba (South Sudan) and Mumbai (India), via Dar Es Salaam (Tanzania). No date has given, because RwandAir is probably waiting for all authorizations required to serve a destination. Jubai is the capital of the world's youngest state, which South Sudan. The country has huge natural ressources and some majors airlines such as Ethiopian, Kenya Airways or Egyptair and Gulf Air serve Juba. More over, South Sudan could join the East African Community (Rwanda is a member since 2007) in the future. Mumbai is the biggest Indian's city and a major gateway for the country. India is one of biggest partner for Rwanda, and recently made some huge investissements, in ICT and Agriculture. There is also a huge Indian diaspora within all East Africa.